Meditation is practice for observing those thoughts, for being more mindful of them throughout the day. It’s pretty simple, but the doing is everything: 1. Commit to just 2 minutes a day. Start simply if you want the habit to stick. You can do it for 5 minutes if you feel good about it, but … Continue reading How to develop a simple Meditation Habit ? In the beginning, our meditation may seem divorced from our daily life. It is like two people who live in the same house and do not talk to each other. In time, daily life and meditation become integrated and support each other. From meditation, we learn to be present, more concentrated, and more generous, … Continue reading How Meditation can improve our way of life ? When the discipline is ready, the Guru will appear. If there is a sincere desire to find your Guru, you will be guided to the right place. Dr. Vidich cites many different spiritual traditions that say that the pull to find a teacher is orchestrated by the teacher himself. There is a phrase in Hinduism, … Continue reading How to find true meditation Guru ? A Guru is not a Teacher. A Guru is one who has acknowledged us, in person, enlightened us and gave us the purpose to live and who has shown us the path through which we can progress. 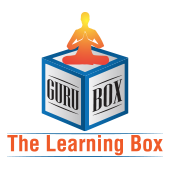 A teacher takes responsibility of your growth A Guru makes you responsible for your growth A teacher gives … Continue reading What is the comparison between Teacher and Guru ? Karma is the Sanskrit word for action. One can think of karma as the spiritual equivalent of Newton’s Law of Motion. “For every action there is an equal but opposite reaction.” Basically, when we exhibit a negative force in thought, word, or action, that negative energy will come back to us. Basic Laws Of Karma 1. … Continue reading How does law of karma works ? There are many types of meditation, the meditation have many different purpose, such as for health, sleeping, relaxing, satisfaction, religion, power or reunite soul to source to reach our true home which is the purpose of this life. There are 10 stages of self-realization according to the true guru or perfect master or satguru based … Continue reading What are the stages of self-realization? There is a big difference between learning something from a teacher and just reading about it in a book. Listening to a teacher has a much greater effect on your mind. Being able to parrot the words written in books doesn’t mean that you really understand a subject. Whatever we learn as human beings is … Continue reading Why do I need a Guru or Master? Meditation Series – What is Transcendental Meditation ? If you have come to learn meditation, it is likely that you want to learn transcendental meditation or TM for short. There are many people that have set their sights on this type of meditation and with good reason. First, it’s easy to learn. Second, you can actually find countless benefits from this type of meditation. Once you … Continue reading Meditation Series – What is Transcendental Meditation ? Meditation Series – What is Walking Meditation ? There are many other types of mediation that can easily be used just like that of the simple meditation. Here, we’ll talk about Walking Meditation that may fill your needs. The process seems much simpler than it is, but it’s worth the try because it can allow you to enter into a new enlightenment no matter where you are.Walking … Continue reading Meditation Series – What is Walking Meditation ? Meditation Series – How I can start simple meditation process? Meditation is an art and you must first learn about the various strokes you can make in your art so that the end result is what you can appreciate. To get started, put aside time to meditate. You need to try and do this daily to fully learn through practice how to accomplish it as … Continue reading Meditation Series – How I can start simple meditation process? Meditation Series – What is meditation Object or Mantra? You need to have a meditation object or mantra to use to help direct and focus your attention on.The object that you use is generally called a mantra, which is actually a specific word or even a syllable. Sometimes, like in Buddhism meditation, you’ll focus on your breathing movements as your object for meditation. If … Continue reading Meditation Series – What is meditation Object or Mantra? Meditation Series – How to control mind during the mediation? Your attitude is probably the most important element in this entire process. It is called poised awareness because that’s just what you are. You are relaxed but alert in such a way that is the perfect balance between the two. When you enter this type of awareness, you notice what is happening around you but you … Continue reading Meditation Series – How to control mind during the mediation? Meditation Series – What are the important aspects of the meditation process? The body and mind are very connected, so they influence each other. The posture you take can help concentration, or can act as a distraction. Here are the most important aspects of meditation process : 1.Location First, we need to help you to find the right location to meditate. As you can probably imagine, you … Continue reading Meditation Series – What are the important aspects of the meditation process? Meditation Series – What are the required elements for Meditation? To perform meditation, there are several key elements that must be taken into consideration prior to getting started. If and when you accomplish these tasks, you’ll be in a better place to actually meditate to the highest possible level of consciousness. There are four big things to consider. First, you need to have the right … Continue reading Meditation Series – What are the required elements for Meditation?